It's episode 100 of the Surface Geeks Podcast and I've Jeffrey Roach, a Surface MVP, to help me out. We'll step through my SB issues and all the other ones prior to and after the latest firmware update Microsoft published in order to fix the sleep/wake issues. Lot's to cover on this one. Enjoy and many thanks to Jeff for joining. Thank you for listening to Surface Geeks. 100 times! It's been a crazy ride with this podcast and I couldn't have done it without you listening and participating in the SG Forums. Thank you! Synology has passed another milestone on the DSM 6 Beta trail. It's RC or release candidate. 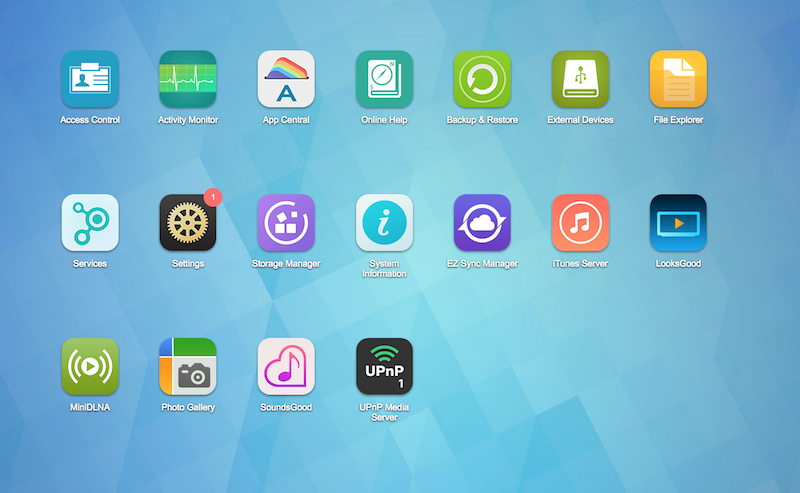 You can still join in and test the new OS on your Synology NAS if you have one that is not in production. It's still recommended you not run it on your main NAS. There are so many new features it's tough to pick out one that is my favorite. I think it would be Btrfs. I'm running this file system on the DS216+ review unit and it's zippy! It might just be the processor but it's still a marked improvement that I think all disk stations will benefit from it. Read the full list of features at the link above. One of the features that eero touts is a simplified setup process that would allow the everyday user to get his wireless network up and running in a flash. No fuss, no muss. After going through the initial setup, it seems to me that they’ve mostly accomplished that. You start by downloading the eero app which at launch, is available for iOS and Android. You’re asked to create an account using your phone number and e-mail address. The phone number requirement has been met with some skepticism and concern. eero’s stance is that the phone number is used as a form of two factor authentication. Instead of a creating a password which some may forget or create one that is not very secure, you are sent a verification code to access your eeros. In my case, the app automagically recognized the text message I received and moved on to the next step without having to do anything else. Once your account is created, eero takes on the daunting challenge of ensuring that people will be able to identify their modem versus their router. It does so by explaining what each component is and some stereotypical illustrations of what they would look like. They provide a step by step walkthrough of what to unplug, what cables to disconnect, and where in the chain of devices to place your eero. Once eero is plugged in, the app will search for the eero and connect it to eero’s servers to add it to your account. Give your eero a name and after 30 seconds of background magic, it’s setup and ready to create your wireless network. Enter your desired SSID and password and eero is all set. The whole setup process took no more than 5 minutes, including the initial account setup. We’ll find out how well eero performs in the coming weeks, but “appifying” the experience certainly makes installing a router/access point a lot more approachable and streamlined. Simplified setup indeed. Discuss the eero and WiFi in the HomeServerShow.com Forums here. I got some help from Jose Ortiz because he ordered a truckload of eero's and has them powered up. Also, how does it stand up to Ubiqiti, Open Mesh, Luma, and others? Is it too expensive? What does eero and Luma need to do in the coming months? I also explain some testing trouble with WiFi and we say goodbye to an old friend. See ya SlySoft.com. Don't worry, we already have a replacement for you. 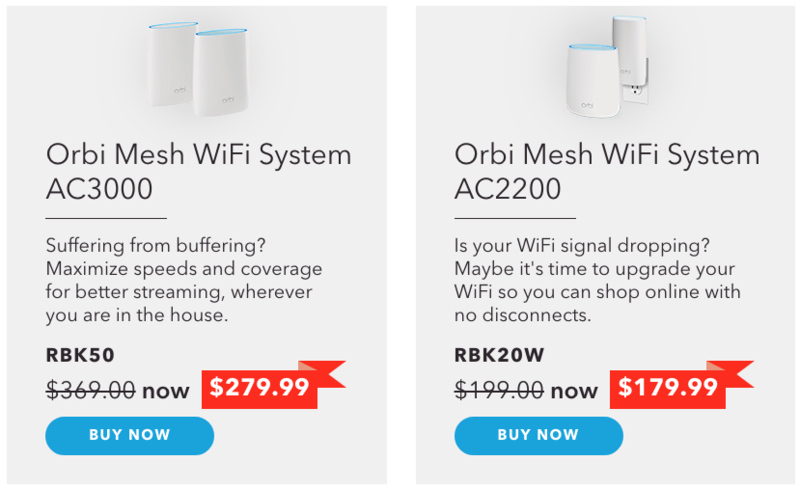 It's eero vs luma vs open mesh vs ubiquiti and more! Big thanks to Jose Ortiz for helping me out on this one. He is a great podcaster. I am a complete block head. I must have scrambled my brain with 2.4Ghz. I maxed the connection of the EDIMax. That is the throughput. I maxed it out! That's why the test results are so poor with it. I'm going to toss it in the trash with the TP-Link. Never buy cheap wifi. NEVER. New test speeds soon. Needless to say, I have crappy Wifi speeds. It is SO time for eero to get installed! I've had to pull the speed testing results. I just don't trust my method and embarrassingly enough the device I used to test with. (SurfaceBook) I'll update this soon. Check the forums thread below for conversation about this. I almost forgot a major issue that put me on the road to replacing Ubiquiti in the first place. Connection troubles. I started to jump into phase 2 of this speed testing and use my android phone to do it with. It won't connect to the UBI. Nexus 6P will not get a connection to the UBI. I remember having issues with it long ago as well. That's why I employed a secondary AP just for me. The first Android test to EDIMax got roughly 30 Mbits/s. Up and down. FYI. I feel bad for the UBI. I'm sure the higher end products are good but I find them comparable in price if not more than their competitors. See this thread. I can't just throw eero into production without testing my old gear. The problem is, eero is here so I'm in a hurry! I thought I would get a tracking number so I would know how far out it was. Turns out, I got the tracking number 6 hours after it arrived. It’s probably good to fill you in on how I got to this spot in time with Wifi. Quickly. I have have the cheapo 2.4Ghz Ubiquiti product. It comes in a 3 pack from Amazon for $199. I did this several years ago trying to get by on the cheap. Eero is part to blame in my woes because I was supposed to have eero by Summer 2015. Then the Fall of 2015 and finally promised February 2016. I purchased a couple of AP’s to get me by. One TP-Link, one EDIMax. Here are the links to what I'm testing today. I usually resell or give these things away but not the TP-Link AP. It went in the trash and it felt good in doing it. The best experience I’ve had with WiFi prior to the EDIMax was with Apple. Crazy as it sounds to my Windows fans but the Airport Extreme router is very capable. It’s extendable like the others and halves the speed of each extension. It worked much better extending than any other product I’ve tried to extend. Granted, this was 5 to 7 years ago too. At one point I used one as a router and another as just an AP. It still doesn’t cover my square footage however. I now have the Ubiquiti, now referred to as UBI, and the EDIMax deployed. The EDI has way better range but still only covers a single floor. Outlying areas of that floor are weaker however. Upstairs and downstairs coverage is very weak. UBI would be fine as 2.4 but it would need an AP per 1/3 of a floor. With 3 floors this would get expensive. I also wouldn’t go with the 2.4 only product. I would get into the AC product which would drive up the price even more. My guess is if the EDIMax product was roaming product it would cover ½ a floor instead of the UBI 1/3rd. It's not so we won't argue that guesstimate. I have 25Mbps up and down Internet at my house. The EDIMax seems to be taking full advantage of the speed provided and the Ubiquiti is having trouble with the upload speed but peaking the download. I have test numbers for you. They were mainly for me to track my testing and get a feel for the gear but if you like that kind of thing, geek out. If not, scroll down for the paragraphs. It's all summed up in the writing. When UBI is fringe it gets ugly. My feeling is that if I had a higher speed connection the Ubiquiti system would not be able to keep up. If I had only a small apartment to cover I would purchase the EDIMax again. At $49 and providing 802.11ac it is a steal. My square footage laughs at the EDIMax however. My other issue is that I need a router that can be separated from the WiFi. My Internet handoff is in the basement. I’m on fiber and have only an Ethernet jack to plug into. (Seriously nice but I am moving soon and will be faced with Xfinity) Eero may present a problem if you do not use it as the router so I will have to work through that. It may just be that I have to purchase an addition access point to cover everything. I may be able to get creative with CAT 5 wiring too. I may be a fringe user, or a power user but I like power over Ethernet, or PoE. The power has gone off at my house before while I’ve been working in a sunny room and I never knew it. That’s because all my UBI AP’s are PoE and backed by battery backup. So is the router, servers, NAS, and desktop PC. All on battery backups. I won’t be able to do that easily with the eero system. I don’t think the “Accounting Department” ie, Spouse, will let me put a UPS at each eero point. I’ll research later on how small I can get with battery backup. I also use Circle with Disney in my house to secure my kid devices. I don’t have any of my devices monitored. The MAC addresses are listed in Circle but not assigned profiles. Just to be clear, I powered the Circle OFF prior to testing. Just for fun, I plugged it back in and retested. Same results. If you are not protected by Circle your speeds are safe. This is a learning post. I needed to do some testing and simply wrote it up as I went. Good or bad writing, good or bad testing skills, right or wrong. It is what it is. What did I learn? A $50 EDIMax router/AP is pretty darned good. It only has a 100mbps port however. I have dead spots with both EDI and UBI. UBI is fine if you have an AP in every room you need access in. Neither of these products as configured in my house today reach outside well. I thought the EDIMax was faster. It feels faster but I think it’s simply coverage. It covers better. If you have ever heard that Ubiquiti products are “noisy,” they are. There are no moving parts but the electronics sing when they are pushing data. I'm also finding that each UBI AP (i have 3 deployed) is different. Speed wise, and noise wise. These are single tests. No AP was hurt in this test nor were they under a load during this test. That is an entirely different set of circumstances. The Synology router, RT1900AC, is available in the US as of today. The highly awaited WiFi router has many features that will make it a welcome addition to your home network. Parental Controls, 802.11ac, easy to use web GUI as well as an app to control the router. I was fortunate enough to get some hands on with it at CES 2016 and can tell that it is well deserving of the awards it received at the show. This router has some features I've been waiting for and I can't wait to get it in my house to use. You don't have to break the bank in order to try it out though. It will sell for $149 and be available at most of your favorite outlets like Amazon.com. I hope to have it in my hands soon and will give you a more detailed look. 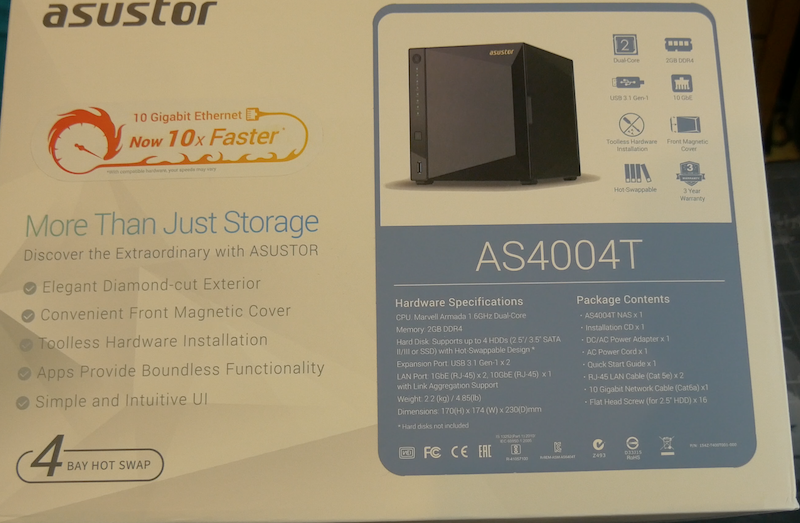 Until then, check out the photos from CES, read the press release below, and discuss Synology and the RT1900AC in the HSS Forums. Bellevue, WA – February 16, 2016 – Today, Synology Inc. – a manufacturer of network attached storage (NAS) – launched its first router, the RT1900ac, in the U.S. market. The highly anticipated device has already earned several awards and recognitions globally, including a CES 2016 Innovation Awards Honoree (computer accessories category) and a Computex 2015 Gold Award. The Synology Router Manger (SRM) is the intuitive operating system that powers the RT1900ac. With a user-friendly interface, SRM makes managing your network and Wi-Fi settings simple, while delivering robust tools for users and professionals. ·Easy to Use –Desktop-like interface makes it easy for beginners to manage their entire network settings. ·Free Updates – Regular software updates means a more secure product with new features to enjoy. ·Add-on Packages – Users can download free packages and transform the RT1900ac into a VPN server, RADIUS authentication server, DNS server, media server and 24/7 download hub for their homes and offices. ·DS router – Available on Android or iOS devices, conveniently manage your Synology router settings from the palm of your hand. Review real time traffic monitoring and wireless network management. "The Router is a critical element for any modern network, and yet it often remains complicated to use. By leveraging our expertise in network attached storage and maximizing the user experience, Synology provides a pleasant, efficient, advanced solution for enthusiasts and professional users," said Derren Lu, chief executive officer of Synology Inc. The SRM Network Center application allows users to limit bandwidth consumption, block malicious content, setup parental controls, and fine-tune how data travels through your home or office network. ·Traffic Monitor – Provides intuitive and detailed graphic view on network resource allocation. ·Beamforming – User-controlled beamforming focuses wireless signals towards supported devices to: reduce latency, economize power consumption and improve the wireless range. ·Application Layer QoS – Allows users to control internet availability by device and networking applications. ·Parental Controls – Easily set up access times for each device and create built-in DNS based web filter. Never worry about speed bottlenecks even when multiple devices are connected to the network. The RT1900ac is equipped with three adjustable long-range antennas and uses the latest 802.11ac wireless technology which broadcasts both 2.4GHz and 5GHz signals for combined data transfer speeds of up to 1900mbps. The Synology Router RT1900ac boasts professional level networking tools, at a consumer-friendly price for homes and offices. Suggested retail price: $149.99. Founded in 2000, Synology creates network attached storage (NAS) and private cloud solutions that transform the way people share, manage, and backup data – at home and work. The company has an extensive line of NAS: from 1-bay desktop units (DiskStations) – to rackmounts (RackStations) that scale up to 1.4PB. The products are ideal for consumers, small- and medium-sized business (SMB), and small- and medium-sized enterprise (SME). All of Synology’s private cloud solutions come with the intuitive DiskStation Manager (DSM) operating system. Dave, Schoondoggy and I have been talking to HPE about their Server products and how we, as enthusiasts, use them in our home environments. Not long ago HPE offered to send us a HPE ProLiant ML30 Gen9 (“ML30”) to test and comment on. We, of course, jumped at the opportunity! As luck would have it the ML30 arrived at my house when I was out of town visiting family in another state. Fortunately, my neighbor signed for the package and stored the ML30 in her garage – thus protecting the ML30 from the freezing rain and snow over the next few days until I got back home. I hurriedly got the ML30 as soon as I could – and what you see here are only my very initial reactions and comments – I should learn more and be able to share more as I try out various OS’s and configurations. After working so long with MicroServers, DL320e Gen8, and the ML10v2 I have found the ML30 very familiar with a form factor that is nearly identical to the ML10v2. While the ML30 is gaining a reputation as an ideal first server for a growing business my perspective will be that of a tech/home enthusiast/user. The HPE ProLiant ML30 Gen9 QuickSpecs and the Intel C236 Chipset information is very interesting and well worth reviewing. SkyLake Xeon CPU in BASE Model (but as Page 4 of the Quickspecs shows [2/8/2016] there are 9 CPU’s supported by the ML30 G9: G4400, G4500, i3-6100, i3-6300, E3-1220v5, E3-1230v5, E3-1240v5, E3-1270v5, & E3-1240Lv5) The Base Model 824379-B21 comes with the Xeon E3-1220v5 and the Performance Model 830893-B21 comes with the Xeon E3-1240v5 – in between the Base and Performance Models is the “Smart Buy” Model 831065-S01 that comes with the Xeon E3-1230v5. I couldn’t find Passmark scores (Feb 8, 2016) for the Base and Smart Buy models but I expect the Xeon E3-1220v5 will perform above the E3-1220v3 which Passmark’s at 6,600 and there is a Passmark for the Performance Model Xeon E3-1240v5 at 10,477 while the Passmark for the Smart Buy Model Xeon E3-1230v5 is 10,234. I expect the Xeon E3-1230v5 would be in-between the E3-1220v5 and E3-1240v5 – giving all three Xeon’s very respectable performance for the enthusiast, in my opinion. The ML30 has a 3/1/1 Warranty (3 years parts, 1 year labor, and 1 year onsite support coverage) – I plan to learn more about how this impacts Firmware & Driver updates. I have yet to load an OS on the ML30 but I have powered it up successfully for the first time giving me an IP address so I can remote in with iLO4 and enabled me to check with Intelligent Provisioning ("IP") that my firmware was up to date. Figure 2 – Very familiar to the ML10v2 – the larger PSU in the Performance Model for the Hot-Swap drive cage is different but pictures of the Base Model look nearly identical to the ML10v2. Those at the HomeServerShow.com Meetup in Indianapolis last September 2015 will easily recognize this layout from when Schoondoggy did the unboxing of his ML10v2. Links that were on the HPE ProLiant ML30 Gen9 Server setup information sheet in Figure 7 above. Figure 8 – While going through Post the power meter is showing in this instance about 41W. Figure 9 – While comparing the Passmark Performance scores for the Base, Smart Buy and Performance model Xeon’s of the ML30 G9 to previous Servers I’ve used I couldn’t find a score for the E3-1220v5 but would expect it to be above 6,600 of the E3-1220v3 in the ML10v2 which is very robust in my assessment. 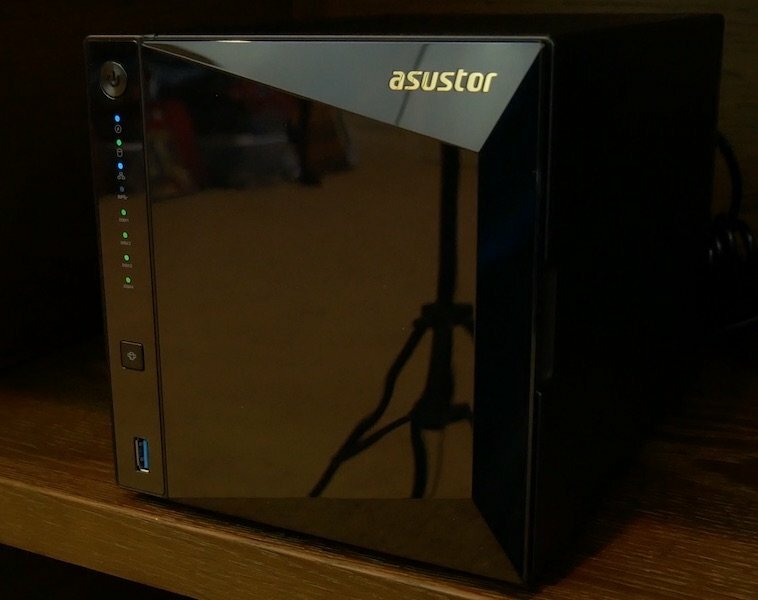 Currently, the prices for the Base and Performance models of the ML30 Gen9 appear widely dispersed but at HomeServerShow.com we do try to alert each other of deals via the deal thread in the forums. Such as this thread. In conclusion, I really like the build quality of the ML30 Gen9 and look forward to trying different configurations with the ML30 in the near future. Stay tuned! The Schoondoggy Drive Mount (“SDM”) is used to mount additional HDD’s and SDD’s inside the HP ProLiant Gen8 MicroServer beyond the 4 positions provided in the main 4 drive bay and the space in the ODD area of the MicroServer. When used with the Schoondoggy Stacking Bracket (“SSB”) up to 4 drives can be mounted on the SDM-R3. The SDM-R3 is provided with mounting holes for 3 optional fans to help cool a card (such as a Video Card or a P222) in the MicroServer expansion slot and the HDDs/SSDs mounted on the SDM-R3. Figure 2 – Top view of SDM-R3 with four (4) 2.5” 9.5mm HDD’s mounted using the 9.5mm SSB’s. Figure 3 – Overhead view of SDM-R3 with four (4) 2.5” 9.5mm HDD’s mounted using the 9.5mm SSB’s. Figure 4 – Side view of SDM-R3 with four (4) 2.5” 9.5mm HDD’s mounted using the 9.5mm SSB’s. Figure 5 – view of SDM-R3 with four (4) 2.5” 9.5mm HDD’s mounted using the 9.5mm SSB’s with Cable connections. Figure 6 – SDM-R3 with four (4) 2.5” 9.5mm HDD’s Attached to the PSU side of my HP ProLiant Gen8 MicroServer. The Bottom edge of the P222 Controller Card in the PCIe slot can be see behind the SDM-R3. Figure 7 – SDM-R3 with four (4) 2.5” 9.5mm HDD’s Attached to the PSU side of my HP ProLiant Gen8 MicroServer. Two 7mm Samsung SSD’s mounted together with a 7mm SSB set sitting on the Static Mat beside my MicroServer. Figure 8 – My HP ProLiant Gen8 MicroServer with SDM-R3 powered up. Note that Power meter is showing 78.5W. Normally, the power meter displays consumption in this configuration between 75-105W. Figure 9 – iLO4 Storage information showing the three Logical Drives off of the B120i Dynamic Smart Array Controller as well as the single Logical Drive off of the P222/512 FBWC Dynamic Smart Array Controller Card that is driving the four HDD’s mounted on the SDM-R3. Figure 10 – iLO4 Temperature data with 27% system fan speed set in BIOS on Increased Cooling. Figure 11 – iLO4 Temperature Graph with 27% system fan speed set in BIOS on Increased Cooling. In conclusion, I really like the quality of the SDM-R3 and using the SDM-R3 I can now install, for the first time, four (4) 2.5” HDD’s that are 9.5mm thick. This is huge, in my opinion. Using the two (2) 30mm blower fans on the HDD’s and the 30mm fan that directs through the cutout towards the P222 heat sink appears to cool the controller card adequately (the chipset did get up to 55C but the Controller Card (PCI 1) was below 60C) during my testing. You can find the SDM-R3 and other products in the Schoondoggy Store. YouTube video discussed in the podcast. I'm back! Discussing new OEM hardware and the striking resemblence to a certain Microsoft Tablet. Other nice hardware announcements from CES 2016. Talking Surface Book and my one regret with mine. Listen in and see you in the forums. Dave YouTube - - Watch, tell me what you think. Samsung's Surface Pro Rip, err, copy, err. Whatever. Welcome to 2016 Home Server Show listeners! Fun episode to start you off with. Jim Collison, Mike Faucher, and Kevin Schoonover join to listen to me go on and on about all kinds of stuff. The Geeks Network Review Team Assemble! Backups Rock. I killed my WordPress install and saved it with yes, a backup. And lastly, CES 2016. My thoughts. My experience. My Hotels and more. Q&A on some vendors I met up uwith. It's a long show but we had some fun putting it together. Enjoy and see you in the forums! The Wi-Fi airwaves are heating up here at CES 2016. 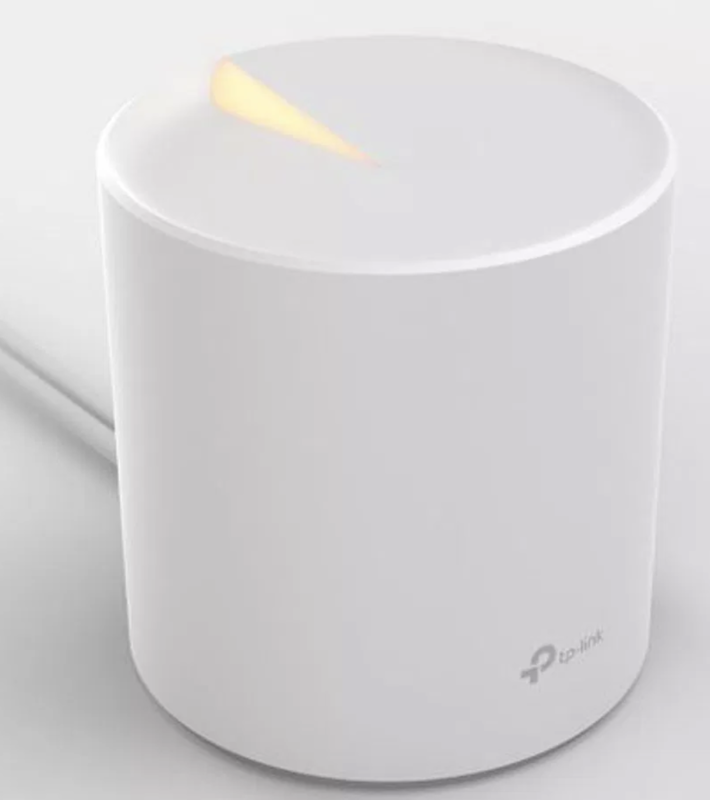 D-Link made several announcements today, including a new line of high performance Wi-Fi routers, an all-new Unified Home Wi-Fi Network Kit with Adaptive Roaming Technology, and expanded DIY home automation solutions. D-Link Adds IFTTT Support to mydlink® Connected Home Ecosystem: Committed to the advancement of today’s Connected Home, D-Link incorporates IFTTT (If This Then That) on the mydlink® Home app across a suite of Connected Home devices including Wi-Fi Smart Plugs, Water and Motion Sensors, Wi-Fi Siren and the new Smart Alarm Detector. IFTTT support enables users to create conditional commands and link multiple IFTTT products and apps together for a completely customizable home automation experience. In Part 6 of Setting up my HP ProLiant ML10v2 for the first time I post the results of some of my early performance tests in addition to the PassMark scores in Figure 16 of Setting up my HP ProLiant ML10v2 for the first time, Part 5: Add Four 5TB HDDs. See also Figure 1 above. Figure 2 – Performance of Logical Drive 01 made of two Samsung 256GB 840 Pro SSDs in RAID0 on the B120i. This is my OS drive. In Figures 2 & 3 I ran performance tests on my Logical Drives 01 & 02 (see As-Built at the end of this article) using ATTO, Crystal Disk Mark, and HD Tune Pro. Figure 3 – Performance of Logical Drive 02 made of four Western Digital 5TB Enterprise drives in RAID10 on the B120i. This is my Data drive. The Target for the NASPT will be on this Drive. After the LAN Speed Test I measured the performance of the ML10v2 (See As-Built at the end of this article) using the Intel NAS Performance Toolkit v1.7.1 (“NASPT”) Tests. NAS devices are increasingly entering the home and small business as centralized storage resources for large collections of documents, pictures, music and videos. Increasingly these devices are used for more than background tasks like backup. Newer interactive usages, like media access/creation, expose the performance of the NAS directly to the user. Unlike the enterprise NAS, the home and small business NAS will be judged primarily by single user performance as seen in user wait time. We introduce a new tool, the NAS Performance Toolkit (NASPT), uniquely built to measure the single user NAS Performance seen by a user of a mainstream personal computer. NASPT includes a wide range of workloads identified by our analysis of media, productivity and bulk data operations likely to drive single user NAS performance. We’ve made NASPT very easy to use and freely available. …. A number of tests are provided with the NASPT. Below is a listing of those tests used in this report. HD Video Playback: Traced from a commonly available video playback application, this trace represents about ten minutes of 720p high definition MPEG-2 video playback. A single 1.3GB file is accessed sequentially with 256kB user level reads. As is true in many of the workloads the NAS itself sees smaller reads since the SMB client and file system break these 256kB requests into smaller requests. HD Video Record: This trace represents recording roughly fifteen minutes of a broadcast 720p MPEG-2. A single 1.6GB file is written sequentially with 256kB access. The bit rate is somewhat lower than the playback test, they contain different video. HD Video Play & Record: This test was algorithmically constructed from the above video playback and record traces. To combine we introduced a 50ms offset into the record stream then merged the two streams. The 1GB file represents four minutes twenty seconds of application run time. Because the two streams have differing bit rates and because of variation in original trace periodicity, there is not a strict alternation of accesses. About 20% of the transactions are sequential. Two HD Video Playback Streams: Constructed from two copies of the above HD Video Playback test, this trace transfers 1.4GB of data representing two video streams played back for about six minutes. Again, sometimes one stream will issue two transactions in rapid succession so about 18% of the transactions are sequential. Four HD Video Playback Streams: This workload is constructed from four copies of the video playback test. The 1.3GB trace represents about three minutes forty-five seconds of video playback for each stream. About 11% of the accesses are sequential. Content Creation: This is a trace of commercially available video and photo editing software products executing a scripted set of operations to produce a video from a collection of different source materials. It contains a single very large file, apparently containing the video output, which is written in bits and pieces. About 11% of accesses within this file are sequential. There are many smaller files that are read and written more or less sequentially. Overall, about 40% of the accesses are issued sequentially. The test transfers 155MBs, 90% of transactions are writes. The median read size is 1300 bytes. The median write is 12kB. Transfers include a wide range of different sized accesses. Office Productivity: Scripted sequences of typical workday operations from a commonly available office productivity suite make up this trace. This test is the largest of the collection, transferring 2.8GB of data evenly divided between reads and writes. Eighty percent of these accesses are logically sequential, scattered across six hundred files ranging from 12 bytes in length to over 200MB. The median read size is 2.2kB whereas the median write size is 1.8kB. File Copy To NAS: This trace includes accesses executed when copying a 1.4GB file to a NAS. Data is written in 64kB sequential transactions. File Copy From NAS: Identical to File Copy To NAS, but in the opposite direction. All transactions are sequential 64kB reads. Directory Copy To NAS: This trace represents a bulk copy of a complex directory tree containing 2833 files, a transfer a large collection of files to the NAS. The directory used represented a typical installation of a commercially available office productivity suite. 247MBs is transferred with an average write size of 41.4kB. Only 52% of the writes are logically sequential as many files are small. Directory Copy From NAS: Identical to File Copy To NAS, but in the opposite direction creating many read accesses. 2GB RAM (locked to 2GB with dynamic memory turned off). The Client Workstation is hosted on my HP ProLiant Gen8 MicroServer, Xeon E3-1265Lv2, with 16GB RAM ECC KVR1333D3E9SK2/16G, (computer name: The Machine) operating under Windows 10 Pro with Hyper-V enabled. All VM’s on the Host have been shut down to provide the Client for this test exclusive access to the Virtual NIC bound to the 2nd NIC of the Gen8 MicroServer. The NIC’s of the Host and the NIC’s of the Target were connected to the same network switch: Netgear GS724T. Figure 10 – Power usage at idle seems to fluctuate between approximately 52W and 65W. The ML10v2 doesn’t have the small form factor of the MicroServer but if a small form factor isn’t essential then I believe the ML10v2 offers a lot more “bang-for-the-buck” for the home enthusiast. As Figure 1 illustrates, the Xeon E3-1220v3 (LGA1150 socket) that is available in a stock HP ProLiant ML10v2 offers significant performance improvement for the home enthusiast over past stock CPU’s in MicroServer’s and MediaSmart Server’s. The 4 PCIe expansion slots of the ML10v2 also offers more flexibility for enthusiast projects. Interestingly from my perspective, I have a home server I built from my first i7 machine and the Xeon E3-1220v3 in the ML10v2 has a 24% performance advantage (PassMark 6,600 versus 5,184) over the i7-930 in my X58A-UD3H based home server! In conclusion, I really like the quality and performance of the ML10v2. Capable of being upgraded to 32GB of RAM and able to support 6 3.5” SATA drives right out of the box this machine has a lot of potential uses including home virtual lab, home server, and home NAS. My own plans in the immediate future is to try other OS’s and hardware on my ML10v2 with an eye down the road as either a home server/workstation or a home virtual lab.